Many people have difficulty with self-studying of foreign languages. Often, we just do not have the concentration and perseverance to study the material effectively. 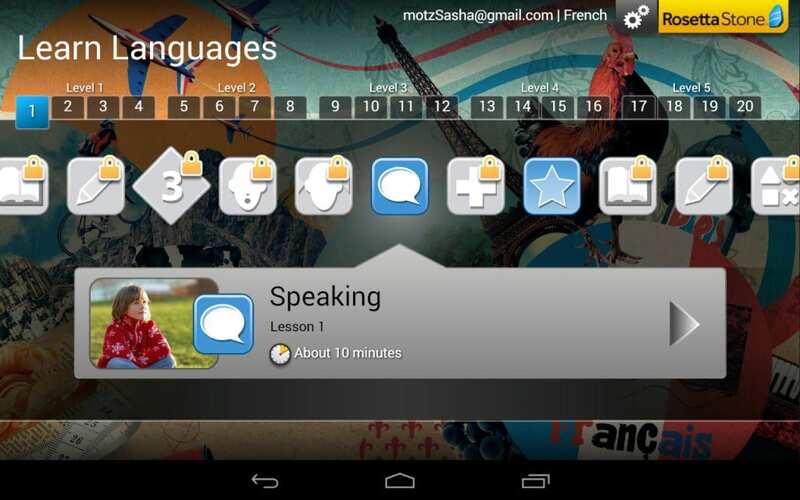 In this case, mobile applications for learning languages has a great help. In this review, we have collected the best apps that will easily allow mastering the material of different complexity, from the alphabet to the grammar. 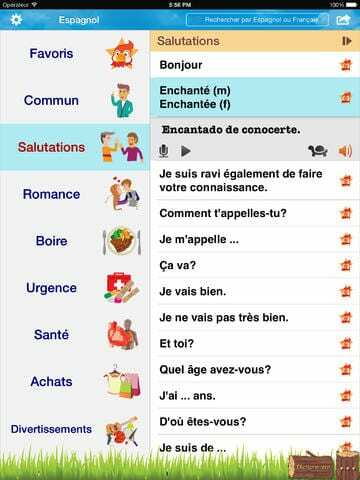 The selection includes the best app to learn not only Spanish but also English, French, German and many other languages. The main advantage of learning the language with the help of a smartphone is that the app makes the process fast, intuitive and interactive, it involves in training. You can study foreign words, for example, in the subway on the way to work or at any other time when the extra minute is available. And no matter what level of knowledge you have or what program you use to practice. Mobile software is definitely able to expand your horizons significantly. 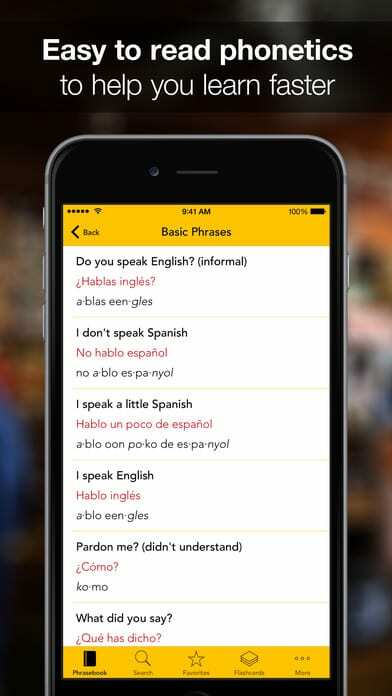 This is a unique mobile application that helps you quickly learn Spanish in a playful way. Flash cards, which are used in an application, allow to learn new words, and fun games will consolidate the learned vocabulary. The program has a function to set its own schedule, and at the right time, it will remind you of the desired word. Invaders – the goal of the game is to shoot down the invader’s ship with the correct word. Snake – here you need to absorb the desired letters in the correct order to make the right word. You are given 3 lives to pass the game. Quiz – before you there is a puzzle. To reveal it, you need to select the correct translation of the word. Learn Spanish fast and with fun! It is a tutorial for your device, which is divided into a new method of studying foreign languages. The feasibility of using this virtual tutor explains by the fact that it not only introduces the basics of vocabulary and grammar but also helps to use the learned skills in the conversation. Read the advantages of studying of 24 languages through special course materials that will be available anytime, anywhere. English, Spanish, German, Korean, Persian, Italian, Dutch, Greek, Japanese – all of these languages can be learned through a proven method which does not take much time and effort. Tailored language classes will be accompanied by visual images and pleasant voices that will allow taking phrases and words to the ear. In addition, advanced technology of speech recognition uses a built-in microphone to let you correctly pronounce the studied content. Learn Languages: Rosetta Stone is distributed free of charge, but includes only one lesson in any of 24 languages. All other classes are purchased for a fee. The user interface has a nice design. When you first start the program you need to register and select one of the 3 preset voices for sound policy. After that, select the language we are interested in, and begin to study. The main menu shows the main categories of classes, which are divided into levels. At the top of the screen, there is a block of additional settings. Learn Languages: Rosetta Stone – is a powerful virtual tutor for your device, which will help in the studying of foreign languages. It is an online service for language learning through the mass as a web application, and with the help of mobile clients. The learning process in this system is similar to the principles of LinguaLeo. The main difference of Duolingo from its competitors is a chance to learn the language from scratch, even when the most simple words cause trouble. All tasks on the site are grouped by level of difficulty, the process starts with the identification of photos, and translation of simple words, and ends with long sentences. The system allows to correct the student if there are grammatical errors in the presence or appearing of a mistranslation. Users can assign grades to each other and to give a voice for the most competent and useful translations, so the results here have a very flexible structure. 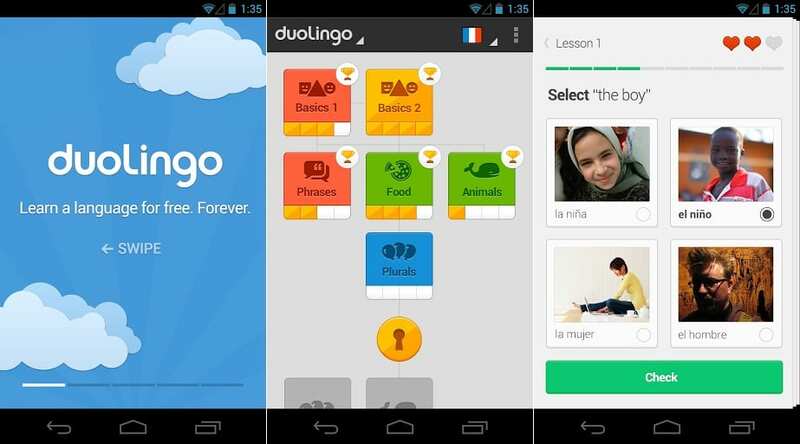 Duolingo helps in the studying of English, German, French, Spanish, Portuguese and other languages. The skills of reading, listening, speaking – these lessons include assignments for practice speaking, listening, translation, as well as from a variety of tests for a comprehensive set of skills. Lesson Check is an instant tracking of correctly executed tasks and learning from mistakes. If the task will fail, the service is required to return you to it and point to the problem. Counting time is the help in scheduling, time monitoring, which you have spent on the study of a particular language. Hearts are some credibility service to your level of proficiency. If they run out, then ask Duolingo to pass over. 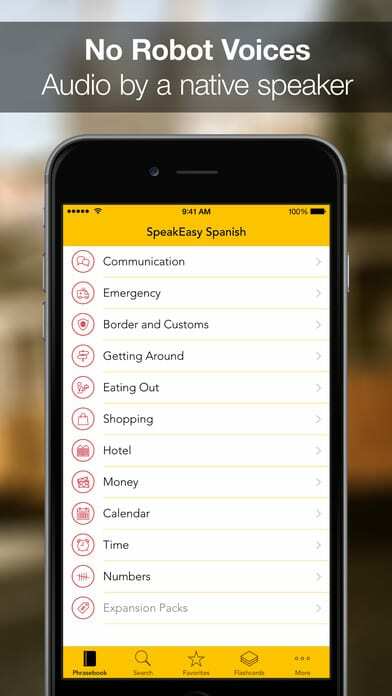 Learn Spanish is an application that will help you to learn Spanish in the most simple and effective way. share your progress in studying through the social network. It is one of the educational services. Compared with other applications, this instrument does not apply gaming approaches to language learning course. In Memrise users need to remember single words and phrases. 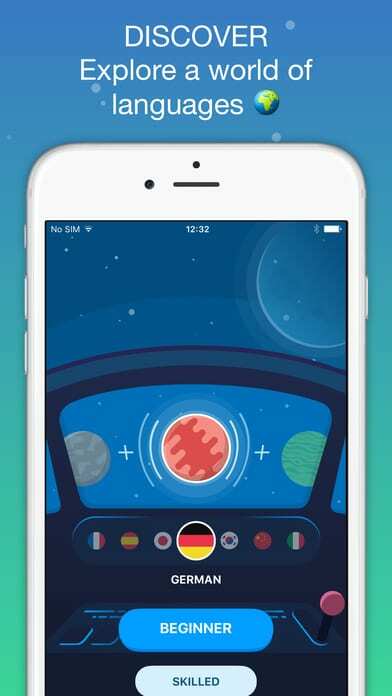 Memrise supports the following languages: English, German, French, Spanish, etc. To increase motivation, within Memrise applicable rating and comparison of the results with the achievements of other users. In the service, the participants can quickly share the progress with friends. The main advantage of working with this application – it is, of course, free of charge. In addition, the developers of Memrise included a large number of available courses. The user only needs to choose the most useful and full course and immediately begin the process of learning. However, according to some users, the system does not have enough scoring of many words. The emphasis within Memrise placed on vocabulary. Easy access to courses for learning languages at any time. Full integration with your account of Memrise with mobile devices. Free function of learning the language. 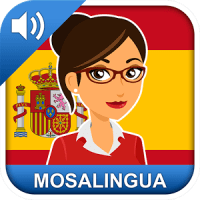 MosaLingua is a platform, which combines an interactive app for studying Spanish and audio vocabulary. What is the unique about MosaLingua? The application is built on the basis of the method of memorizing words SRS – Spaced Repetition System, or appliances spaced repetition. SRS-technology – is a way of calculating the moment when the application should recall you the word that is about to be forgotten. Thus, in the long run, the words that you have learned will be constantly “produced” in memory and will not go away from it. 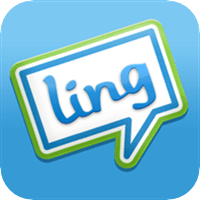 The app includes more than 14 categories and 100 subcategories, each with examples of dialogues and audio files, possessing audio vocabulary, which seats over 3000 phrases. MosaLingua app will help not only to study all this stuff but also to remember it for a long time. Busuu is a service with ample opportunities for the development of a set of basic knowledge in any language – English, German, French, Spanish, etc. It should be emphasized that all the data in the service classes are structured enough that greatly facilitates the process of assimilation of the material. As in the most of these services, the tasks are broken down into lessons on various levels of complexity. Each user will be able to test himself in themed quests. At the same time, while passaging of any block the same word are used. This approach, according to the developers’ minds, is intended to increase the effectiveness of training. 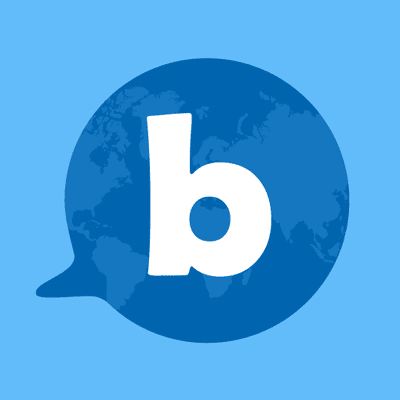 Busuu – is a set of communities that connect people who are ready to learn new languages. 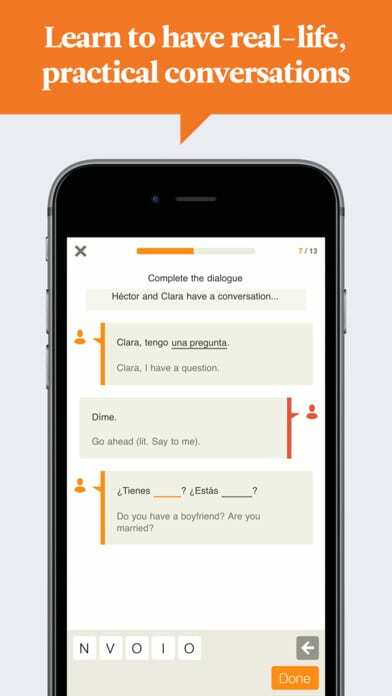 For desire, users have the opportunity to communicate with native speakers of a language. What can be achieved with the help of Busuu? More than 3 million words and expressions, which are separated by 150 subjects for everyday communication. High-quality courses based on the Common European Framework of Reference for Languages CEFR. The option of various exercise testing by native languages. The ability to test the understanding of the foreign speech, listening, reading and to gain different skills of proficiency. Basic knowledge of 11 languages. This application is a set of tools to study different languages, such as English, Spanish, French, Japanese, Italian, German, Russian, Chinese, etc. Recently Hebrew joined the list, and the addition of new languages continues. Each lesson consists of a particular text and audio recording to it. By studying the lesson, you mark learned words, and they are stored in the statistics of your training. During training, you can also earn points, which can then be spent on assistance to teachers – to check written work, live communication, and courses. Points can also be bought for the money or to earn, performing the duties of a teacher or adding a library lessons. Byki is a software for learning foreign languages. 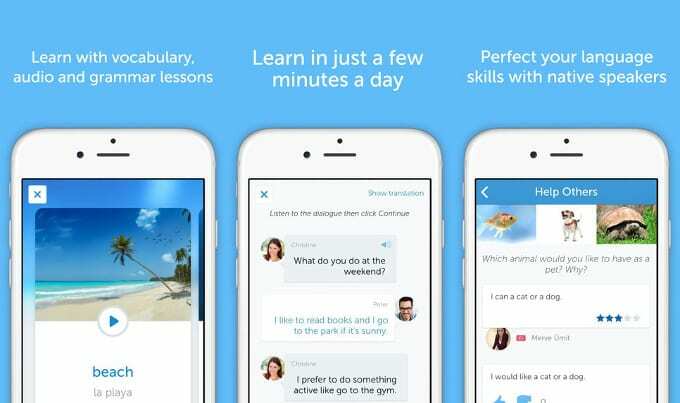 There are packages for studying a huge number of languages (currently 74) so that the app is suitable for anyone who wants to learn a foreign language. The program is easy to use, everything is intuitive. This program is for memorizing words, it works on the principle of word cards. 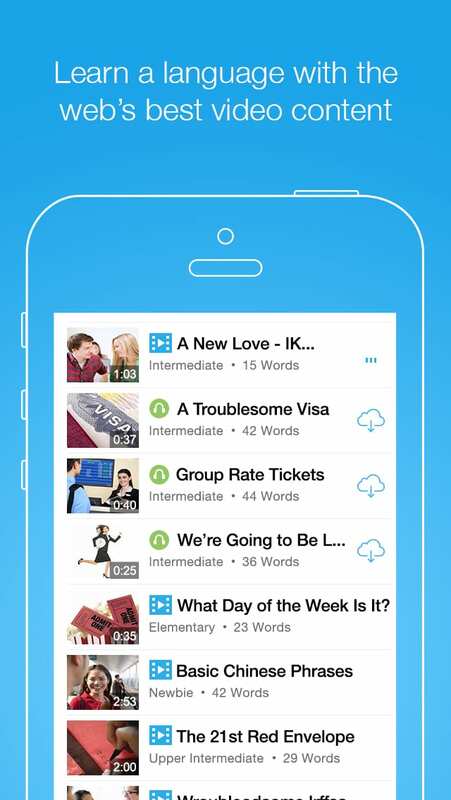 Byki will teach you the most important foreign words and phrases on your phone. Enjoy an easy, exciting and fast 3-step process. Securing of knowledge in an entertaining way let improve your pronunciation according to the medium voice, pass knowledge tests. In the “test” we can check how the memorizing of words is passed. The program is universal and allows you to learn words in any combination of more than 70 languages, to add pictures or video to cards, to voice cards with a microphone. Additional lists of the word can be downloaded from the developer’s site. Lists can be created by yourself. Remember the spelling and pronunciation of foreign words and phrases. Personalized studying to speed up your progress. Pictures and voice by carriers. Lists of the most used phrases. Maintain your knowledge with Intelligent System recurrence. Evaluate your progress by testing. Improve your pronunciation with speech-recognition technology. Secure your knowledge through games and exercises. Learn thousands of extra words and phrases online. Create your own word lists and share them with other users. 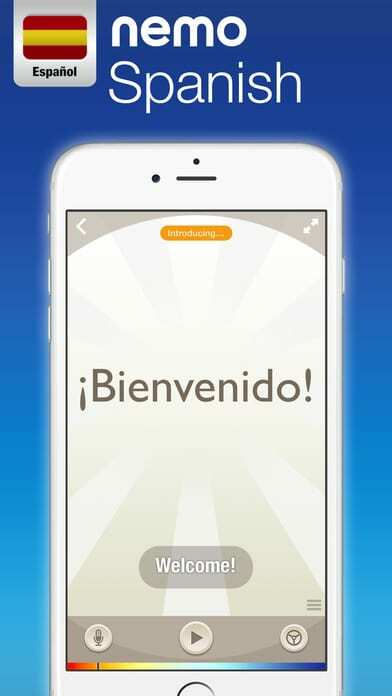 The application with the absolutely charming look and characters for learning Spanish on iOS platform. Despite the fact that it focuses primarily on students, with its help it is very easy to replenish vocabulary stock of any age quickly. The application became popular thanks to an interesting approach like game-oriented. It helps to learn and memorize words quickly. 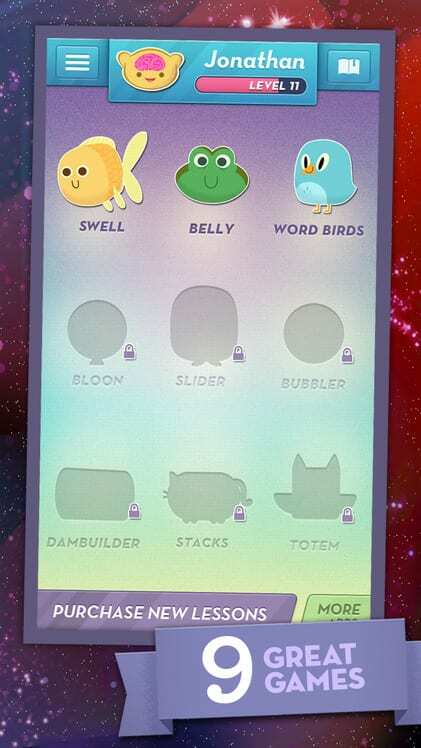 The app allows to study unknown words with the help of 9 games. 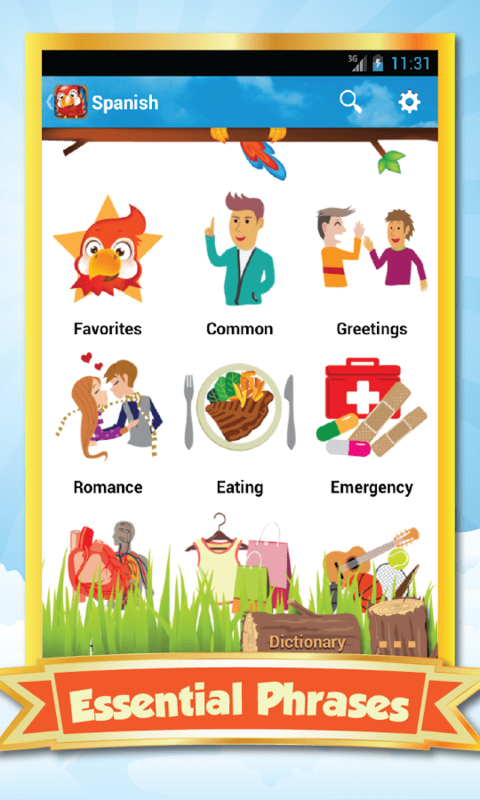 In the app, the lexical material is divided into thematic groups (meal, work, etc. ), and for each set of words, you can use all sorts of games on guessing and memorizing of words. For instance, in one of the games a word flashes on the screen and you have to find its corresponding picture. To get the most points in each round, you have to perform the maximum number of tasks properly. In the other game, Spanish and English words are written on the balloons, and your task is to find as many pairs as possible. It seems, the tasks are quite traditional and familiar, but with a nice graphics and smooth gameplay you completely forget that this is an educational app. You will get more than 50 sets of vocabulary, with the help of which you can learn, just playing, most of the main vocabulary, laying a solid foundation of vocabulary in the shortest time. FluentU program is one of the best resources for learning Spanish in today’s market. It will teach you Spanish through immersion into the language. To achieve this effect, the authors create a video with subtitles adapted for users with any level of proficiency. Videos range from the latest news, movies and motivational lectures to movie trailers and clips. You can change the level of complexity of the video from the “beginner” to “medium”. 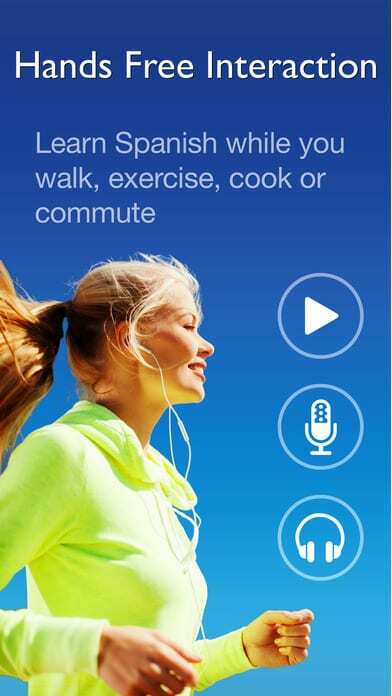 Quite recently FluentU developed the application for smartphones. Another advantage of FluentU is interactive subtitles below the video. If you came across an unfamiliar word, simply hover over it and you will see its meaning. 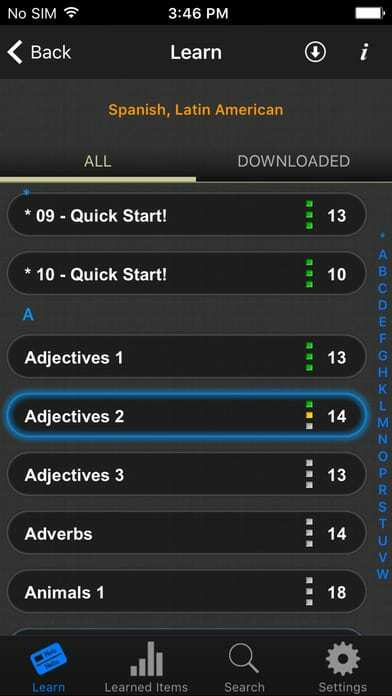 In this application, there are many additional features that will help to understand and remember the material, including interactive video crib, grammatical notes, lists of vocabulary and an intensive “training mode”. In the “learning mode”, you can make multiple choice of exercises and translation, which are accompanied by video examples, adapted to your level of proficiency. Try yourself and make sure that the video gives an inexhaustible context of dialogue and can be a powerful tool to help you in studying the grammar of the Spanish language much faster. All video in FluentU are adapted for different levels of learners of Spanish, so it does not matter if you are at the initial stage or approach to the level of the native speaker. Especially this app will be enjoyed for those who like examples, context and introduction to the culture while studying the language. 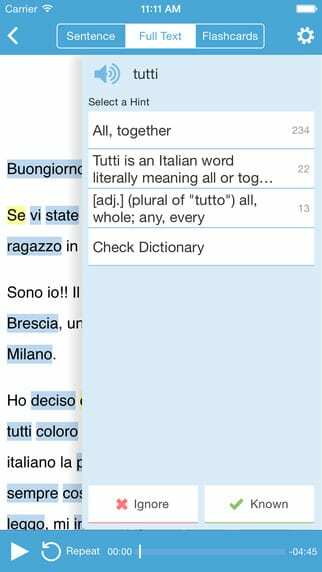 It is a modern phrase book in a mobile application that is easy to take with you. Every word and every phrase are voiced by native speakers, so you can be sure that you say the right thing when the situation requires turning to someone in Spanish. Interesting features of SpeakEasy are the ability to slow down the speed of the audio track playback, and flashcards to memorize separate words. That is you have at hand really all best to maintain the Spanish in the “operating mode”. It is suitable for the study of the basics of a foreign language, vocabulary on specific topics, grammatical rules. You get an access to a large number of courses, each of which is divided into two dozen of lessons. 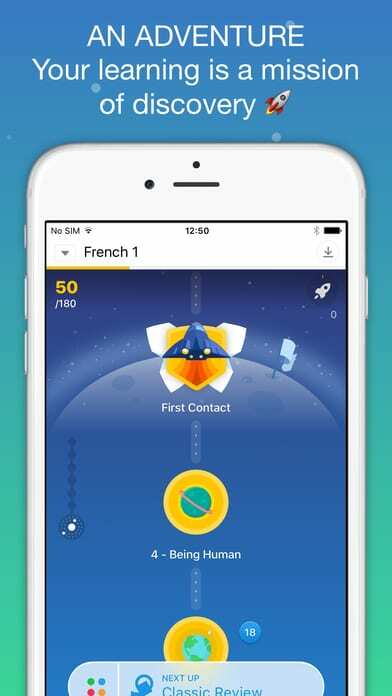 Newcomers will approach exercise of baseline, where, as in the first grade, you will be taught simple words and rules, as well as the app, will help to get used to the sound of a foreign language. At the very beginning, there is a clear and accessible explanation of the basic rules of grammar, the meanings of words. Then, almost immediately numerous exercises start. At first, everything is simple: insert a word, select the desired image with the designation and so on. Soon the tasks become complicated, and users begin to pronounce specific words into the microphone, to spell and write the desired phrase and write complex applications, make listening. Babbel offers well secured courses, but the app is rather weak on the part of the theory. The advantage of Babbel is a huge number of exercises that are ideal for learning the basics of a foreign language, as well as a reliable system of tests. At the moment, there are courses in English, Spanish, French, Italian, Portuguese, Swedish, Polish and many other languages. More than 7 million people have already downloaded the app Accela Study on their gadgets, with which it is already possible to learn 18 languages. Among them are not only “standard” but also Polish, Romanian, Ukrainian, Turkish, Greek, Japanese, Arabic, Japanese, Chinese and Korean. As it is saying, the selection for every taste. Of course, the main method of teaching is the same flash-cards with visual or audio tasks for translation. The dictionary is divided thematically (in 65 categories of the 2,100 words). 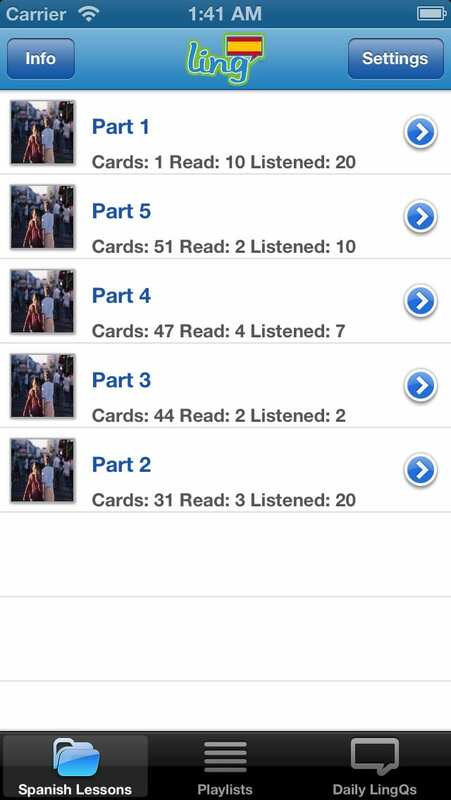 For advanced users, it provides the ability to classify cards in their own sections. Statistics of responses will identify “bottlenecks”. 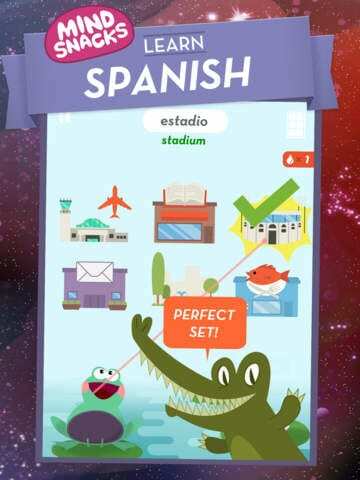 Spanish with Nemo is a free application for smartphone and tablets, with the help of which the user can in a short time to learn the minimum necessary set of words and phrases in Spanish. You can learn the basics of the language using the phrase, which are the most popular phrases, words, and questions used by any traveler or tourist in contact with an unfamiliar language environment. Also, you can study Spanish with the help of cards with which you can learn how to pronounce a particular word or expression, as well as to develop the necessary language skills. In addition, you can improve your own pronunciation, for which you need to record a phrase uttered by using the integrated tool “recording studio” and the result from the pronunciation of a native speaker. There is the possibility to switch cards from English into Finnish and vice versa, which allows you to get acquainted with a new vocabulary, to test your memory and pronunciation. There is also a “Favorites” section, in which you can put any card, “Replay” mode, built-in search, index, and much more. Promote your app at Freeappsforme! Free apps for iOS & Android. 2016-2019 (c) If using any material from the site - dofollow hyperlink required.